Mallorca is the largest and most densely populated of the four Islands (Mallorca, Menorca, Ibiza and Formentera) which form the Spanish Balearic Islands in the Mediterranean Sea, east of mainland Spain. The Island has been one of the most popular holiday destinations for many years, however current figures indicate that many tourists are now choosing to travel to cheaper competitive destinations such as Turkey, Greece and Tunisia. This is mainly due to unbelievable cut-price offers on Package Holidays which are proving too hard to resist for those on a tight budget. We are confident that Mallorca Tourism will remain strong and competitive throughout this change! New for 2019 will be the ability to be able to reserve a Private Holiday Rental Apartment for the very first time under the latest Tourism Regulation set by the Conselleria of Tourism. Already some properties can be reserved with more becoming available very soon. Mallorca or Majorca, we know can be a bit confusing. 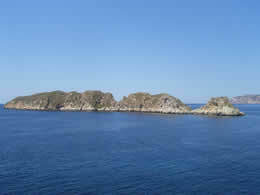 The locals refer to the Island as 'Mallorca' from the Catalan language frequently spoken. Lessons in schools are mainly taught in this language and it is also the preferred language of government and public services throughout each of the Municipalities. be the main language spoken. However prior to the death of Franco in 1975 the island was known locally as 'Majorca' derived from being the largest, (Major) Island of the Balearics. In the English speaking world, especially the United Kingdom, 'Majorca' is still the preference, perhaps this will change over the years. The immense natural beauty together with Mediterranean weather (hot dry Summers and mild Winters) are the main reason why this Island has been so popular as a holiday destination. Whether you are looking for a relaxing break or a holiday packed full of adventure you will find that the Island has something to offer everyone. We also enjoy a very diverse landscape from the rocky Tramuntana Mountainous region in the North-West to the flat plains in the centre of the Island. The beautiful beaches, varying resorts and range of sports and tourist activities provide a multitude of options for visitors. This is the reason why so many tourists return to the Island year after year! For those who live or are considering living here, you will find a comprehensive Information Guide to Living in Mallorca including Insider Tips which come from years of experience living on this beautiful Mediterranean Island. Check out our comprehensive guide to the City, full of expert advice and tips to help you with your visit! Are you travelling to Majorca soon and not quite sure which of the resorts would be best for you or your family? Perhaps you are already here and would like to visit a different resort for a day or two. Check out our comprehensive information guides to the resorts around the island with insider tips to help you along the way. There is so much choice when it comes to the Island's resorts, we hope that this information will help you to make the best choice. Check our selection of Private Apartments and Villas for Rent around the Island. We hope you will find something interesting. If you own a property and you need information on property care check out our Property Services. Mallorca is an Island with many transport options. In advance of your arrival you can organise a car for pick up at Palma Airport or alternatively arrange this in a resort or town. Public transport in general is very good with city buses (EMT) in and around the Palma area and (TIB) mainly for inland and travelling to and between the resorts. Direct from the Airport you can take a Bus to the City or some Resorts. Taxis are also available from the Airport as well as private Airport Transfer Buses which can be reserved in advance. From the Plaza de Espana station you can take a train to Manacor or Inca or you can visit Puerto de Soller by the Vintage train then tram. Find out all the transport information options available in this guide with timetables, links to transport websites and prices etc. Check out our guide to the Shops in the city and around the island. From large stores such as El Corte Ingles to designer boutiques in the quaint narrow lanes of Palma de Mallorca. You will also find a list of market days in the towns and resorts. Equally important for tourists is knowing which supermarkets are available near to their holiday accommodation with store opening times. We hope you find the information useful. For bad weather days we suggest one of the shopping complexes, the newest is Fan Shopping Centre where you can spend a great day out. and market Villages around the Island. From the picturesque villages of Pollensa, Andratx, Capdepera, Son Servera and Calvia to the bustling manufacturing towns of Manacor and Inca. The latest flight information with live flight arrivals and departures from Palma de Mallorca (Son San Joan) Airport. You can see the most popular airlines flying to the island as well as information on travelling with disabled passengers, car parking and fast becoming popular, cruise-fly holidays. All-Inclusive, Half Board, Full Board, Bed & Breakfast, Self Catering, so many options to choose from. You can check our information here with holiday discounts with Tour Operators such as Tui, Thomascook, First Choice and Jet2 Holidays. 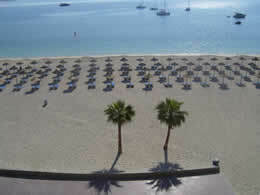 From basic Hostal/Pension hotels to 5 star luxury hotels, Mallorca offers a great choice to suit everyone. See our selection of Rural Hotels, mainly found in the beautiful Mallorcan countryside and some with the added advantage of being fairly close to the sea. If you wish to reserve a Rural Hotel we advise you to reserve as far in advance possible to avoid disappointment. This is due to the limited amount of rooms during peak periods! The Island has much to offer in the way of Tourist Attractions, Trips and Activities not to mention Historical Sightseeing especially in Palma de Mallorca. Check out our Restaurants Guide which include Cafes and Bars. There really is so much choice of cuisine from traditional Spanish and Mallorquin to Italian, Chinese, Indian, Greek, British, Turkish, Scandinavian and Japanese plus many more...the list is endless! know where to go, check out our quick guide! The Markets in Mallorca are not only a place of interest for tourists, they are also vital for many locals who rely on the quality produce available there. See our guide to help you choose which of the many Markets to visit. A great choice from Resorts, Villages and also the Municipal Markets. with temperature chart and seasons information. Information guide to Spa's, Beauty and Wellness centres around the Island of Mallorca. Some offer good value short breaks or you can reserve a luxury treatment in advance. Majorca Daily Bulletin and Euro Weekly. If you need Information on Living here on the Island - NIE number - Bank Account - Schools and Health Care, check out our comprehensive information guide. Information guide to buying a Business on the Island with insider tips. There are many business for sale throughout Mallorca but not all make you a profit, choose carefully! Information guide to buying a Property with advice on taxes and processes. Now is a great time to buy a property on the Island. You could pick up a bargain! Golf, Weddings and Cycling (cyclotourism). were looking for whether you are holidaying on the island or living here! In each section we provide you with some insider tips which we hope will save you some time and money!